There is ALSO an English Western Horse show on 4/28/19 at Robertson Park, go to the Spring Stampede Website for more info! Keep in mind that the Public is always welcome to all of our family friendly events. There is NO charge to come watch and we usually have the Snack Shack open for most events too! You can go to our calendar for info on other upcoming events and registration forms. to help us keep The Equestrian Center in Heather Farm Park. Thank you!!! Would you like to see the Equestrian Center stay in Heather Farm Park? 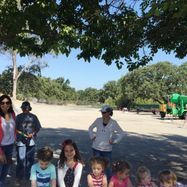 We are not currently in the Master Plan for the park and we would like to show the city there is plenty of interest from Walnut Creek residents and others to keep us there! Please type your name here to add your name to our petition, thank you! Do you live in Walnut Creek? Thanks to all who joined us for our National Day of the Horse Celebration on Sat, Dec. 8th, 2018!!! in Brentwood, CA . CCC Independent Youth, 4-H and FFA Youth who show in it in may qualify to compete at the California State Fair! How do you get involved? Read on...! 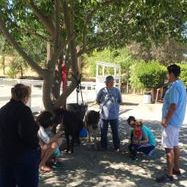 Youth can participate in the County Fair show as independent exhibitors, or by joining a local CA 4H Club (there are 9 clubs in Contra Costa County! ), or the Future Farmers of America. Registration for 4-H and FFA are held in September at the beginning of the school year. OR call 925-939-2929 for more info! Please go to the Contact Us tab under MORE(drop down tab) to see the names of all 2018 Board Members & Committee Chairs! 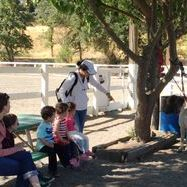 Welcome to the Equestrian Center of Walnut Creek! Thank you for visiting our website. 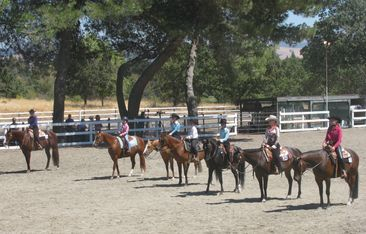 The Equestrian Center of Walnut Creek is located in the back of Heather Farm Park. If you take a left at the dog park, you will find us. We are small but mighty and we hope you will help us to keep the Equestrian Center open for many years to come. Many are not aware that Heather Farm was actually a thoroughbred racehorse training facility, back in the 1920's. But, as they say, times changed and sadly the facility was closed. 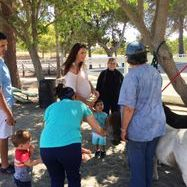 The good news is Heather Farm Park was opened to the public in 1970 by the city of Walnut Creek and the Equestrian Center was built by the efforts of local equestrians and volunteers. One can only imagine what it was like in the 1920's with horses all over Heather Farm. Now, the only part left in Heather Farm related to horses are the 2 arenas. By the support of donations, members and volunteers, it has been kept open. Heather Farm is a wonderful open space, with so many things to enjoy. There is a swimming pool, tennis courts, picnic areas, community center, Skate Park, volleyball court, fishing pond, nature pond, six athletic fields, a dog park, The Gardens and the Equestrian Center. There are restrooms and a connection to the Iron Horse Hiking Trail. 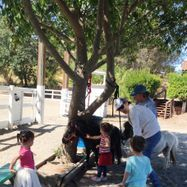 The Equestrian Center, which we consider the best part of Heather Farm, is run by a non-profit organization with the main purpose of keeping the 2 riding arenas maintained and open. We welcome any support, donations and would especially love you to join us by becoming a member. The more members we have, the bigger effect we have in the community to keep the Equestrian Center open. You do not need to have a horse to join the Equestrian Center; you only need to have the love of horses in your blood. We have many events throughout the year and all are welcome. Admission is always free for spectators. If you check our calendar page, you can make plans to come and watch the next event, there are bleachers to sit on and a restroom, so all in the family will be comfortable. We have a great Snack Shack, full of tasty treats. So you not only get to enjoy watching the horses, you also get great food to go with it. 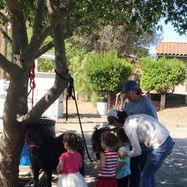 We love to educate our members and the public about horses. Horses can do so many wonderful things, and for some reason, they are kind and willing enough to let us do it with them. They are not only magnificent to look at but they are also kind and gentle if treated correctly. You do not need to ride them to enjoy them. Just the sight, smell or touch of these creatures can bring a smile to the old and young. What can you do to help us keep the arenas open and to keep horses in Heather Farm? You can become a member, come to our events, volunteer with us for the events or help us maintain the arenas, buildings and immediate surrounding areas. Please go to our membership page to find out how to join. Of course we love donations as well. If you have money to spare, we have things to fix or replace! We do not stable horses onsite and we do not give trail rides. If you go to local barns and trainers on our site you will find places that do. We do rent out our arenas for showing and events. Please go to arena rentals on our site for more information. 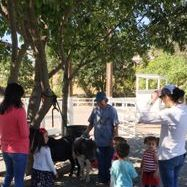 If you join you will make new friends, you will become more social, and best of all you will be helping us keep the Equestrian Center open for the future. Thank you for visiting, and please spread the word, there are horses in Heather Farm. We had another fantastic work day for the 2017 Walnut Creek Community Service Day. Thanks to everyone who helps us keep the ECWC riding arenas in great shape! 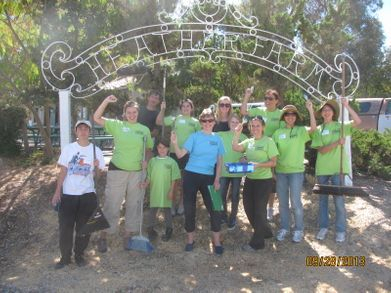 Click here to see Walnut Creek TV's video footage shot at a past service day event at ECWC! Thanks to all who attended and the wonderful Angels for Minis group for sponsoring this event-- what an amazing turnout! 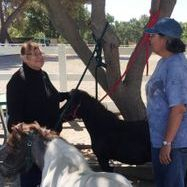 Go to www.angelsforminis.com for more info about this mini-horse rescue group located in Walnut Creek! Thanks to all who came to our show. Pictures will be available soon! Gymkhana was a great success! Thanks to all the riders, friends and family as well as the organizers! 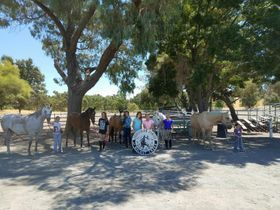 ECWC wants to thank CSHA Region 5 Gymkhana for holding their Bling Series and the Spring Stampede at our arenas-- we hope to see you again next year! Special thanks to Amy Sawyer Bleichner for the wonderful photos from the 3/31 show! Click on the link to go to the Google Docs photo album to see all photos! last year! Our Youth Board is meeting to plan more fun for youth riders this year! Call 925-939-2929 if you are interested in joining the ECWC Youth Board. Thanks to all who came to our first annual Fun and Games Day pictured above in July of 2017. We had all kinds of silly and safe fun. It was so nice to have a non-competitive event. We love to compete and our youth riders love to play on their horses too. We hope to have more events like this in the future. Special Thanks to Board Members Stephanie and Kendall Shurr for organizing this wonderful event! 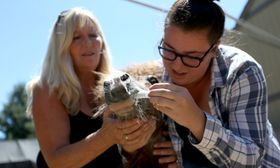 Click here to read 7/5/17 East Bay Times Article by Jennifer Shaw featuring Mary Stewart and her Angels for Mini's Mini Horse Rescue! MEMBERS: ALWAYS check our calendar to see if there is a special event or if weather requires closure before driving to the arenas! 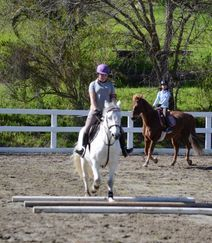 Mounted lessons were with Kyana Sazegari, a local intermediate level 3-day eventer who gives a fantastic, challenging lesson with a positive and encouraging attitude. Interested potential members are invited to contact Barbie Roth at bchpolo@sbcglobal.net for more info on Pony Club. Info for ECWC memberships is available under the Membership tab above. 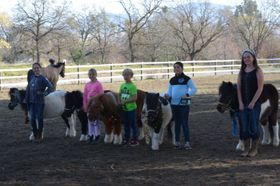 Pony Club members attending these events bring their own horses to ride. 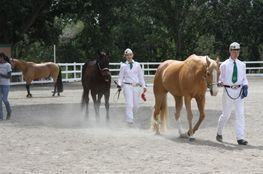 ECWC members were also welcome to ride in the small arena during Pony Club mounted lessons. The public is always welcome to come and watch our events! 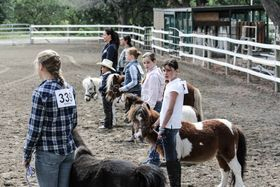 Our July 8 ECWC Mini Horse, Pony Schooling shows was a blast! Thanks to all of the great folks and horses who attended. We were especially happy to see those of you who have never been to our arenas before! Would you like to learn more about horses? A great way to start is with Mini Horses - the sweet little ambassadors of the Horse World! 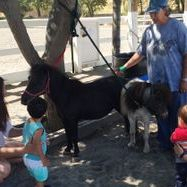 Contact Mary Stewart, ECWC Board Member and Chairperson for our Mini Horse Events, or go to her Angels for Minis website to inquire about how you can participate in camps, shows and other Mini Horse events at ECWC! ...maybe you can even give a Mini Horse a Forever Home!! !